Triforce Tokens (FORCE), more than just a crypto-currency, has discovered a missing link within the gaming industry; a link that is causing game developers frustration on multiple levels. As it stands the gaming industry, especially the indie game sector, is losing revenue and battling with high player attrition rates. Whilst players are spending vast amounts on games and in-game purchases, they receive little in return. Triforce Tokens aims to solve this problem. Solving this missing link will generate a more productive, efficient and rewarding gaming industry. Player retention within games will increase and individuals will be more inclined to purchase further games as well as in-game purchases. Player experience within games will become more enjoyable and profitable as they develop their virtual wallet and reputation within the community. Developers will increase their revenues and margins allowing for further innovation and development of games. Piracy will be reduced to a manageable level, minimising loss of revenue and further increasing players’ experience. Triforce Tokens will create an ecosystem that brings game developers and players together to create a more enjoyable and lucrative experience for both. 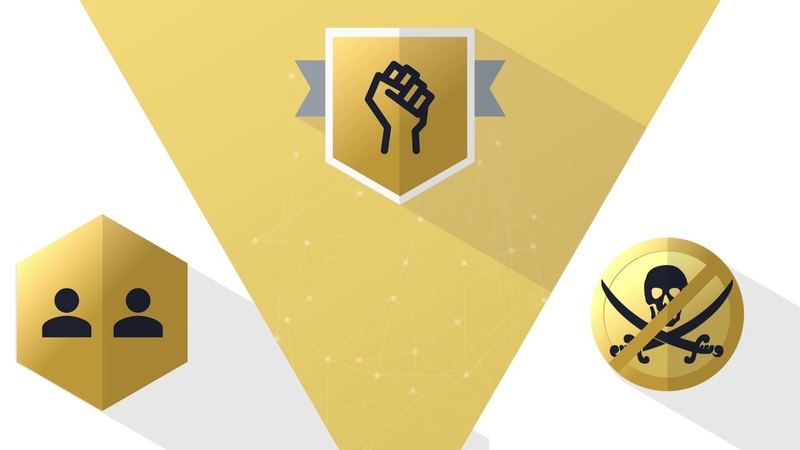 Through the use of blockchain technology triforce Tokens will offer a scalable solution that enables further generation of revenue for both parties, whilst also helping to reduce piracy and boost player retention rates. This will be achieved through the use of a new, next generation currency - triforce Tokens - that can be exchanged player-to-player and developer-to-player, from which developers take a variable transaction fee. By bridging this known gap within the gaming industry - utilising existing technologies as well as its own new releases - triforce Tokens will create a better experience for every party involved. The outcome will be a happy end user and a more efficient, profitable and fair gaming industry for all. How can i join the token sale? Simply fill out the form at the top of the page and further instructions will be emailed to you. Do i have to verify my identity to participate? What crypto currencies can i contribute with? What is the total supply of triforce tokens? Will you burn un-sold tokens? Yes, any tokens not sold at the end of the token sale will be destroyed to ensure no over-supply. Your tokens will be issued immediately after confirmation of your contribution has cleared from the token sale, by our smart contracts. Will the triforce tokens be listed on exchanges? Yes, we will be applying to be listed on exchanges however we are unable to specify which until the exchanges themselves announce this.